Rock Steady Boxing, is a unique exercise program, based on training used by boxing pros, and adapted to people with Parkinson's disease. The program involves regular exercises, such as stretching, bicycling, running, jump-roping, push-ups, balancing and lots of non-contact boxing, led by experienced trainers/coaches. Rock Steady Boxing serves both men and women of all ages and levels of ability. Rock Steady Boxing enables people with Parkinson's disease to fight their disease by providing non-contact boxing-style fitness programs that improve their quality-of-life and sense of efficacy and self-worth. Recent studies also suggest that intense exercise programs may be "neuro-protective," working to delay the progression of symptoms. Rock Steady Boxing provides encouragement through a "tough love" approach, inspiring maximum effort, speed, strength, balance and flexibility. 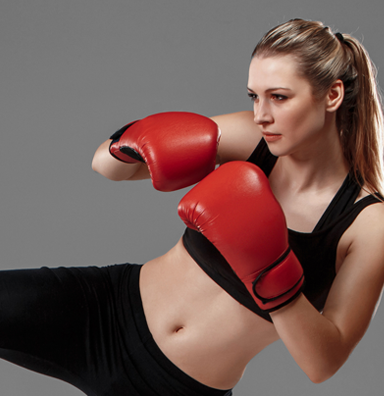 Boxing works by moving your body in all planes of motion while continuously changing the routine as you progress through the workout. Rock Steady Boxing classes have proven that anyone, at any level of Parkinson's, can lessen their symptoms and lead a healthier/happier life. Several medical studies on exercise and Parkinson's have concluded that forced intense exercise can slow the progression of Parkinson's. In other words, when exercise is done at a volunteer rate, there is less benefit than when exercise is done that pushes or forces someone out of their comfort zone. Boxers undergo a diverse training regimen to achieve the optimal body control it takes to be a good fighter. Our physical therapists here at FYZICAL Therapy & Balance Centers are in your corner and ready help you Love Your Life!